Charging up your 100% full electric Dynamo Taxi cab. Whether you’re a Taxi / PHV Fleet Operator, a Local Authority or an Owner Driver, there’s electric taxi charging support available for you from Dynamo’s trusted partner – APT Controls. 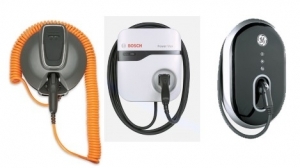 APT Technologies brings to market the widest range of electric vehicle charging products. These include bespoke systems for indoor and outdoor taxi park use, space saving integrated charging solutions, high powered interactive multi charging systems and the more traditional street based posts, which have been ergonomically designed to blend in with environmental aesthetics. The Dynamo 100% electric Taxi Can be recharged by any one of four methods. The basic cable: This comes free with the vehicle which allows the taxi to be plugged into any “safety tested” 3 pin plug sockets. This will give the vehicle a charge rate of 3KW Hours on any domestic single phase 240V electrical supply. A simple 3 pin test plug for testing the electrical socket before you use it, can be bought for a low cost 0f £6.00 from the high street. These are very simple to use, just plug in and look for 3 red lights to show all is safe to use. You can have a dedicated home charger box fitted to your house, or work place. 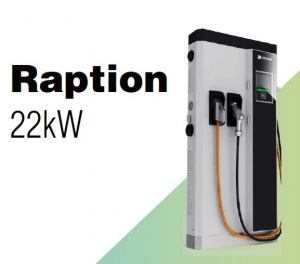 This unit will charge your vehicle at a rate of 6.6 KW Hours and is powered from a new 32-amp 240v single phase supply from your domestic consumer box. This system would need to be professionally fitted by an electrician from one several home charge providers. Dynamo can put you in touch with one of the companies for this. There are government grants to assist you with the cost. The costs are dependent on a site survey to see where you want your box fitted and how far this point is from your electric supply. The average cost is £99 – £499 depending on your site survey and which company and deal you choose? These units are usually provided on a commercial basis i.e. by Charging Infrastructure suppliers such as Source London, ESB, Ecotricity and E-Volt. This equipment is expensive to install and needs an industrial 3 phase electrical supply to power it. Rapid posts can recharge your taxi from empty to 80% charged in a time of approximately 40 – 60 minutes, however, less time if your battery is not completely empty. Depending on which company’s equipment you use and what deals or apps you have signed up to the costs can vary plus there could be standing charge fee of the provider. Please do your own investigation as to what deal suits your driving habits and geographical location. 50 kw chargers are free at all Nissan main dealers, and some Taxi fleet owners are putting 50 Kw charges on site for convenience for their own fleets to use. A growing number of local councils and authorities are now installing Taxi only rapid charging bays with the number now in London alone at approximately 300 and growing. Rapid chargers are very useful for a quick top up during the working day with 15 minute bursts adding significant mileage to a Dynamo Taxi which can suit some drivers and their working patterns. 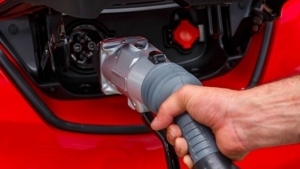 Fast chargers are more economical to introduce and charge at 22 Kw hours. 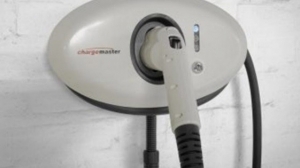 As they are cheaper to make and install there are likely to be more of this type of charger available and are a sensible choice if you have time to spare as the energy would also be less costly than a Rapid Charge. These posts are very much worth investigating and may suit drivers depending on where and when they are working. A mixture of charging types is recommended to use by Dynamo as this lowers cost and helps manage and optimise battery performance. Charge times from the Nissan web site: for E-NV200 40 Kw battery. Reach from 20% to 80% charge in just 40 to 60 minutes. Rapid charging is the fastest and easiest way to recharge and stay on the road for longer. Just pop into the nearest Nissan dealer or motorway service station plus the public charging network is expanding all the time. Reach from 20% to 80% charge in under 2 hours. There are 2 additional ways to charge your Nissan e-NV200: use your wall box to fast charge and reach full charge in 7h30 thanks to the 6.6kW on-board charger or charge using a domestic plug and reach full charge in about 21h30.